Vietnam has dramatically modernized its economy and supporting legal framework over the past decade, including a new Labor Code as of May 2013. But the framework for labor relations has not kept pace, leading to problems in implementing labor laws and poor communication between management and labor. As a result, each year has seen strikes and other labor disruptions that have hurt industry and workflow. 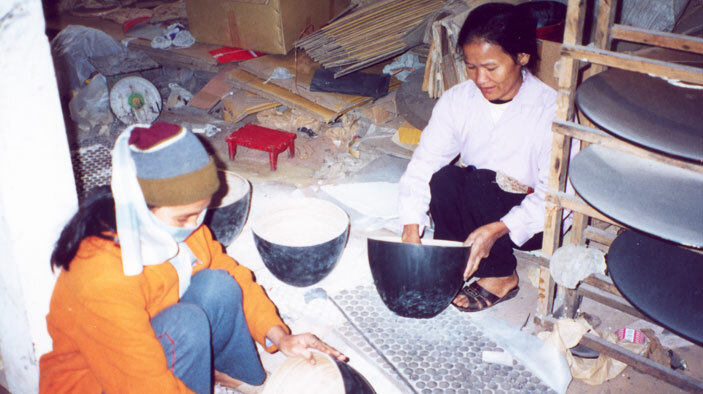 This current partnership between the U.S. Department Of Labor and Vietnamese government—a follow-on to Phase 1 that was funded by the U.S. Agency for International Development—provides technical assistance to unions, business, and government in strengthening the implementation of labor laws and promoting sound industrial relations. Improve the capacity of departments within the Ministry of Labor, Invalids, and Social Affairs that are responsible for education on labor laws, labor inspection, labor policy development, and addressing labor disputes. With the Vietnamese General Confederation of Workers, the official trade union, promote effective collective bargaining in industrial zones. With the University of Labor and Social Affairs, the project is working to improve their curricula on dispute resolution and collective bargaining in order to strengthen its capacity to instruct in these areas. Introduced collective bargaining that incorporates multiple employers and unions across a defined geography to enable standardized bargaining and agreements. Developed software that allows labor inspectors to access information from employers about wages, hours, compliance, and other areas. Adapted syllabus and curriculum from U.S. universities now being used by three Vietnamese universities and nonaffiliated professors; together they comprise a network of labor relations academics. Introduced alternative, peer-to-peer dispute resolution techniques to address issues such as wages and working conditions and help prevent labor disruptions.